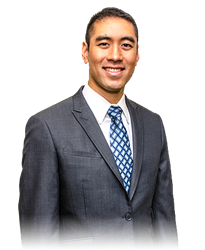 Interventional Pain Management Specialist Dr. Kaliq Chang with Atlantic Spine Center offers tips on potential causes and ways this pain is diagnosed and treated. The vast majority of people dealing with pain from the neck to shoulders will recover quickly and fully. It’s a highly common problem with high success rates for commonsense solutions. While the area from the neck to the shoulders isn’t expansive, a lot can happen that triggers pain in this high-intensity region, according to Interventional Pain Management Specialist Dr. Kaliq Chang with Atlantic Spine Center. A wide variety of injuries and health conditions can lead to pain in the neck and/or shoulders, with most of those problems stemming from soft tissues in the area. Occasionally, a condition not originating in the neck and shoulder region – such as a heart attack – can cause pain there, but this type of calamity isn’t the norm, Dr. Chang notes. If your pain from neck to shoulders comes on suddenly and is severe, head to an emergency department, Dr. Chang advises. There, acute causes of your pain can be ruled out, such as a heart attack or gallbladder attack. “Major injuries to the region, such as fractures or dislocations, also need to be seen by a doctor immediately,” he adds. But if this pain comes on more gradually and isn’t severe, it’s OK to schedule an office visit to diagnose the underlying cause. Diagnostic tools vary, but in general a thorough medical history and physical exam will be performed. Additionally, tests may be ordered such as x-rays, CT or MRI scans, or blood tests, Dr. Chang says. Most cases of pain from the neck to shoulders will need only home treatment to see improvement. These remedies include resting; doing movement exercises; applying ice or heat for short periods; or taking over-the-counter pain relievers such as acetaminophen or ibuprofen.